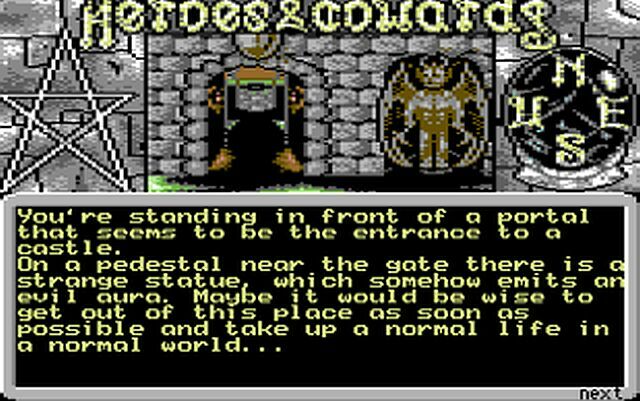 Indie Retro News: Heroes & Cowards - A graphical C64 adventure gets a PC and MAC release! Heroes & Cowards - A graphical C64 adventure gets a PC and MAC release! Even though we announced this game for the C64 on August 30th, of which you can find our big article (Here). The developers have given us all the heads up, that ' Heroes & Cowards ' is now available as a digital download for PC, Mac and C64. As we said before in our previous write up, If you love adventure games then you'll be pleased to know that the unreleased graphical C64 adventure by the makers of “Crime Time” and “Brubaker”in cooperation with Out of Order Softworks and Protovision has released this most wanted of C64 adventure games. The editions available at itch.io are bundled with an emulator for use on Windows or Mac systems, but the games can also be played directly on real hardware, for example using the fabulous 1541 Ultimate cartridge or by transferring the games to a real C64 floppy disk with one of the hardware solutions available from the main website.